For almost 50 years, TCTC has donated funds, equipment, expertise and elbow grease to area schools, organizations and individuals. Have you ever run a 5K? Walked a neighborhood trail? Attended a local track event? 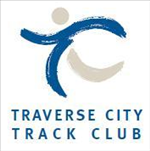 If so, you’ve likely been touched by the efforts of Traverse City Track Club. For almost 50 years, TCTC has donated funds, equipment, expertise and elbow grease to area schools, organizations and individuals. Additionally, we have created some of the area’s premier running events—Bayshore Marathon, Remembrance Run, and more. All with one purpose in mind—making the pure, simple enjoyment of running and walking available to everyone.